Every night, this man is in someone’s dreams. If you’ve seen this face, you’re not along. 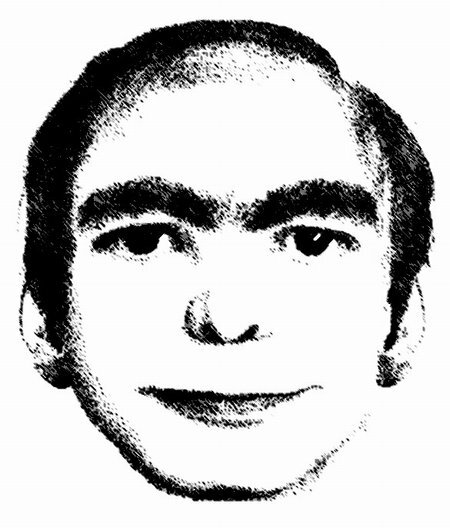 Since 2006, more than 2000 people around the world have had dreams in which they claim to have seen his mysterious face. Read about his unusual history, see other portraits, and explore the theories behind the most common dream star in the world at his official website. The only thing I have to say about This Man is that he’s incredibly creepy. He looks like a caterpillar-browed Nicolas Cage or Ray Dennis Steckler. I’m not the sort that remembers my dreams, but if I saw that guy’s mug smiling creepily at me, I’d definitely remember it (and no doubt need to consult a psychiatrist afterwards). He’s no Freddy, but he’s still pretty serious nightmare fuel.